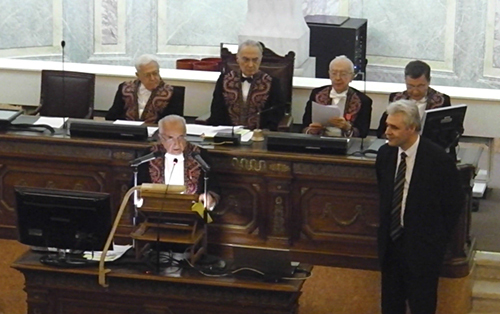 Dr. Jean-Philippe GIRARD received the prize “GALLET et BRETON” on December 17th 2013, at the National Academy of Medecine in Paris. This prestigious Prize in Cancerology rewards researchers who have made important advances in cancer research or cancer therapy. Jean-Philippe Girard received the prize for his work on HEV blood vessels and their role in cancer.